All our grain is harvested locally, and once threshed on site using a traditional steam threshing machine, the grain is then stored and milled at the windmill. The resulting flour is then sold in the mill shop. 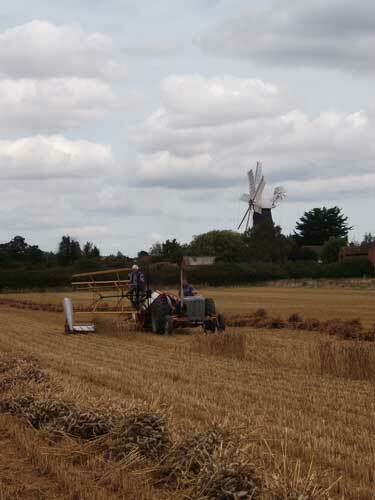 Heckington Windmill Trust is very fortunate in having local farmers and enthusiasts who generously support our milling activities with their time, machines and crops. 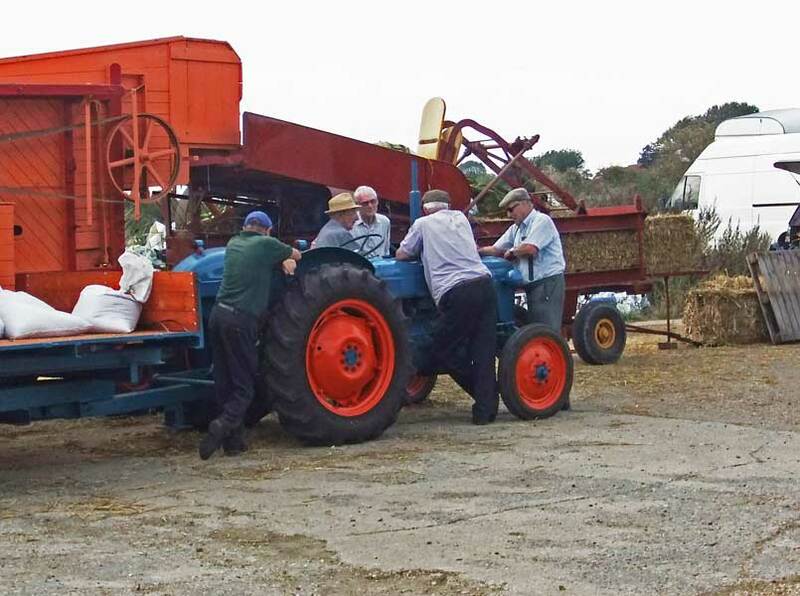 The wheat is cut using a vintage Binder, rather than a combine-harvester. This old machine is owned and operated by Eddie Tong and his son Michael. It ties the cut wheat into sheaves which are then loaded onto trailers by volunteers using pitchforks. These are stored in a barn until the Threshing Weekend, usually around the end of September. 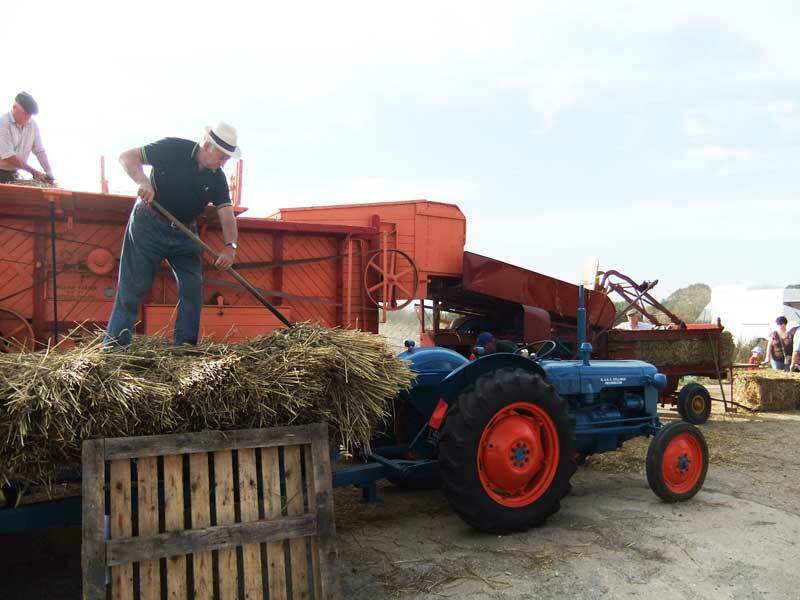 A 1950’s threshing machine and straw bailer are provided by Brian Wesley. These are both powered by a vintage steam traction engine, brought from Nottingham by Colin Brothwell. He also appears with it at the famous Heckington Show, where it drives a saw-mill. 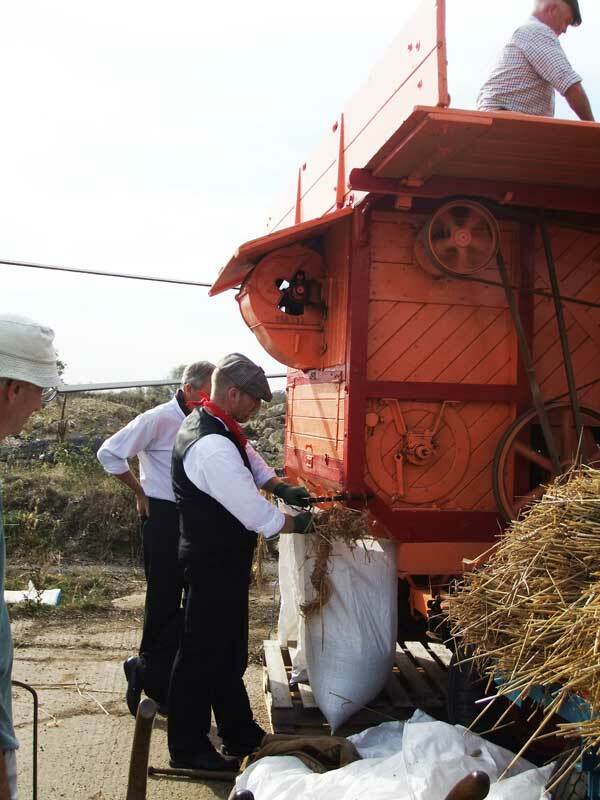 The threshing normally produces between one and two tons of grain, which is then barrowed into the mill. This harvest provides most of our stone-ground flour production for the next year. By using these machines from a bygone era, and training new generations of volunteers, we are keeping alive traditional skills and practices of rural life which are in danger of dying out. These activities also provide a special opportunity for members of the public to share in a piece of living history and rural nostalgia. The food miles for our flour can be less than 1 mile! In recent years we have been supplied with locally grown wheat from farmers Heckington, Howell and East Heckington. Volunteers taking a well earned break!